the Member Portal is an online member portal providing your members with a way to book and view meeting rooms and desks, view and pay invoices; collaborate & connect with your community. The portal is designed to be responsive, allowing members to access vital pages from their phone, tablet or laptop. To start configuring your Member Portal, search for Portal in the global search box, next to the Operate logo, then select OperatePortal. Alternatively, go to Settings > General > Portal > Operate Portal. If you do not see this section in your system, you will need to install it. Go to Settings > Integrations > Portal and search for the Operate Portal app. Click Install on the right to install it. Once this is done, you will see it listed as shown above. Name your Portal - The Portal name is what is displayed as the tab title when the Portal is open in a browser. Enter your Master Email Address - The master email address is the actual email address that your users will receive all Portal notifications from (unless specified otherwise within the email templates). Please note that your IT team will have to create an email address within your email system to ensure that messages are successfully delivered from the portal.. Select your Portal\s country and currency. Use social media to improve visibility of your portal. 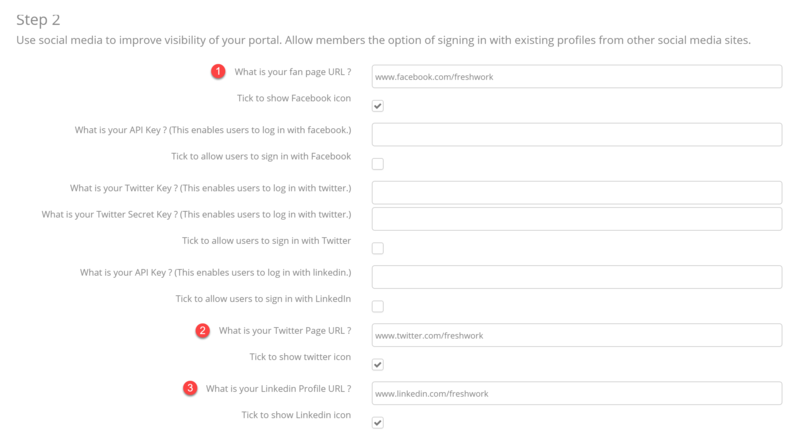 Allow members the option of signing in with existing profiles from other social media sites. 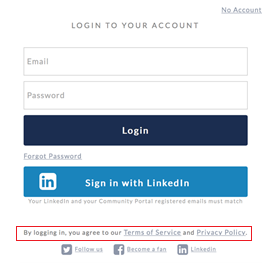 If you wish to have a link to the icons (Twitter, Facebook, LinkedIn) on your Member login page, that takes the member directly to your social pages, please enter your social media details into the Fan Page, Twitter and LinkedIn Profile URL fields. Here is where you can also enable Single Sign On (SSO) to allow your members to use their social media profiles to sign into your Portal. By logging in, the member is accepting and agreeing to abide by the terms you have laid out. This content is also populated on the dropdown menu under the member’s name once they are logged into the Portal. The maximum number of locations you activate should match the number of Portal location licenses that you have contracted for with Operate. Click on Activate to activate a site and Deactivate if you ever want a location to be deactivated. Use this setting to map one of your own domain names to the Portal and use it instead of the .member.site default URL. To enter your Vanity URL, click the Edit button on the right of your settings page. You will need to configure your DNS record for the vanity domain as a CNAME pointing to address mentioned within your Settings. Once you have configured the vanity domain as a CNAME, click the Verify button below. This will start the process of provisioning an SSL Certificate required in order for your vanity URL to work - this can take up to 1 hour. The status of your setup is available at the bottom of your Settings page. Read more about setting up your Vanity URL and configuring DNS settings.